It’s still 90 degrees in LA, and summer is clearly still holding on. 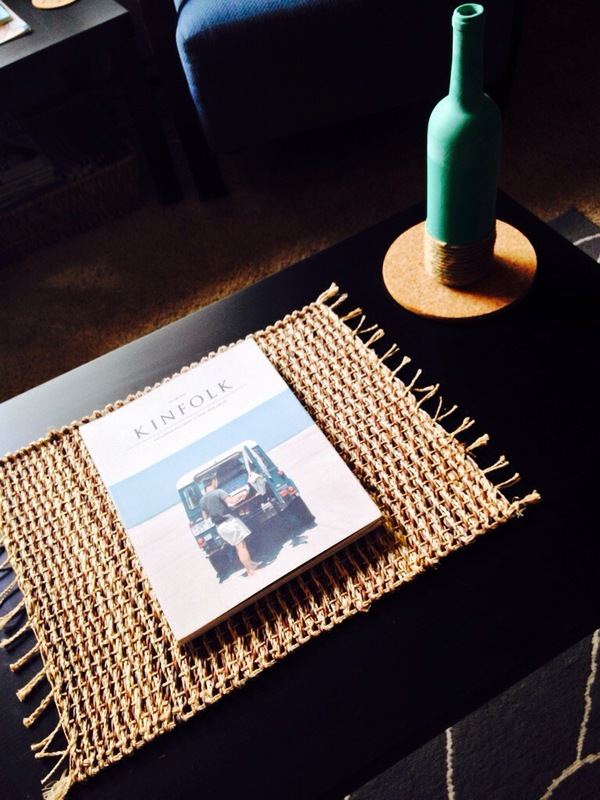 The fun thing about summer is decorating in a way that breaths life into the home. It is completely possible to make a home beautiful no matter what size it is or what’s in your bank account! With the changing seasons, you don’t have to make any big, drastic decor transformations to enjoy where you live. I find that swapping out simple details can help my tiny home flow from season to season. Today, I’m sharing some of my summer home favorites with you. These easy budget tips can help refresh and rejuvenate your humble abode. 1. The coffee table book. If you have a shelf, counter, or side table, fill it with the items you already have that feel like summer. 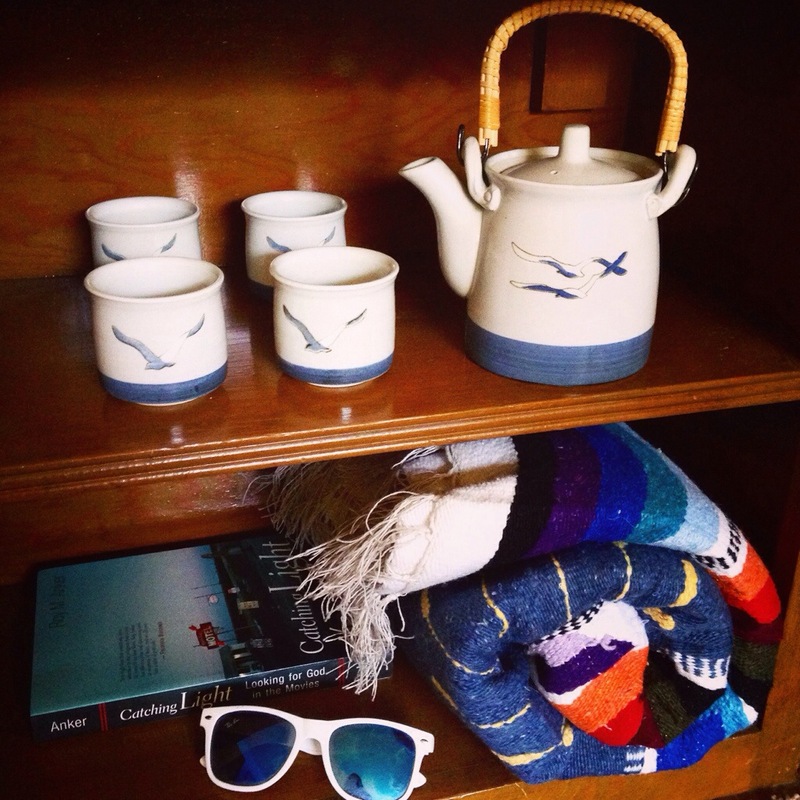 Right now, we are displaying the blanket from our Mexico honeymoon, sunglasses (also from Mexico), and my Mimi’s beachy tea set with seagulls on it. Crafts are not only fun, but a great way to affordably add a new piece to your home. 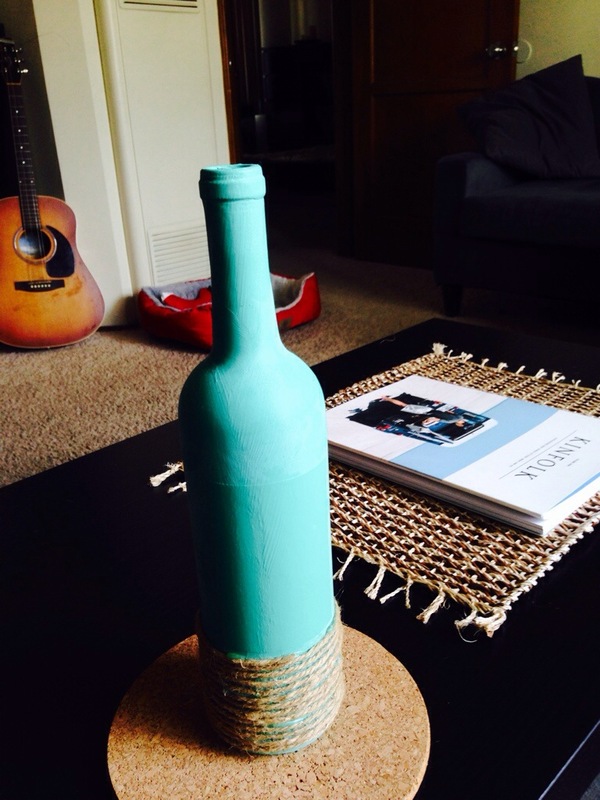 I took an old wine bottle, painted it turquoise, and used a hot glue gun to wrap some thick twine around the bottom. This is a great way to make a simple summer time vase. Don’t forget to give your work space a little love, too! I like my desk minimalist and clean. I simply added a cut of burlap to go across my black desk, giving it a touch of summer fun. 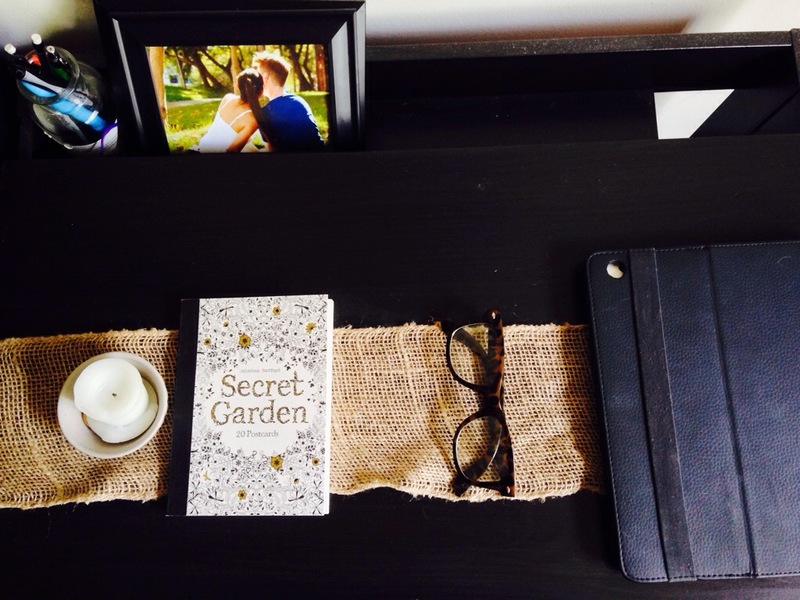 I also displayed my “Secret Garden” coloring book, a fresh lavender candle, and a colorful photo of my husband and I. Decorating doesn’t have to be expensive or difficult, friends. I hope you are feeling inspired and ready to cultivate beauty in your lovely summer home!